It should be absolutely no surprise to anyone that liberals and conservatives alike are complaining vociferously about the proposed IRS regulations on 501(c)(4) social welfare organizations. As the Post’s Matea Gold summarizes, “Conservatives call it a scheme to silence President Obama’s critics. Liberals complain the administration risks trampling on the First Amendment.” Gold reports that the 23,000 comments filed in response to the Federal Register publication of the proposed regulations is by far a record for the IRS. Although anything that could clarify what “campaign-related political activity” and “social welfare” mean for 501(c)(4)s, along with boosting disclosure and transparency among these secretive organizations, would normally be a plus, but for us, these draft regs don’t fit the bill. If implemented as proposed, the regulations might have included routine advocacy activities, even those often carried out by 501(c)(3) public charities, such as nonpartisan voter registration, candidate forums, and get-out-the-vote efforts, as “political activities.” Even the mere mention of candidates and political parties on nonprofits’ websites might be considered “political.” While the partisan activities of 501(c)(4)s might legitimately be narrowed, especially since the law says that (c)(4)s are supposed to be engaged exclusively in social welfare activities, and disclosure ought to be vastly ramped up, squeezing legitimate nonpartisan voter registration and GOTV activities out of the field is unbelievably counterproductive, given the role of nonprofits in improving the functioning of the American democracy. Do look at the comments submitted about the draft regulations, however, to get the real flavor of the vociferous opposition. 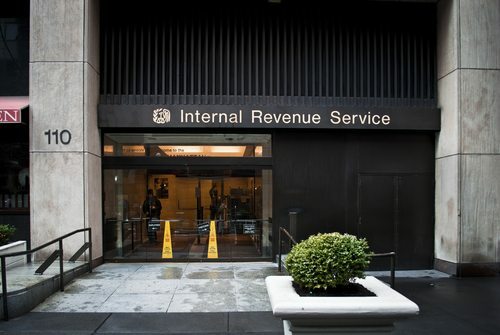 The conservative comments have the emotional feel from the writers’ apprehensions that the regs are simply a nefarious plot by President Obama’s minions to silence the critics: “It is a tragedy for Americans that the evil doers at the IRS have gotten away with the crimes they committed against Tea Party and other conservative groups,” said one. “I, as a US citizen, demand that you stop ‘Shredding’ the Constitution of the United States,” said another. “Stop playing politics and do your jobs! You are employess [sic] of the people! ALL THE PEOPLE! Be they conservatives or liberals. Stop the insanity! Leave the tea party alone,” a third added. “It is blatantly a way to restrict First Amendment rights to those who disagree with the current (illegal) administration and its policies,” a fourth said.